Within a month of launching of YouTube Red, a $9.99 per month service for ad free video subscription, YouTube has now launched Music Mobile App. YouTube music is an application for discovering music videos, exploring YouTube’s recommendations, viewing your favorites and streaming audios. 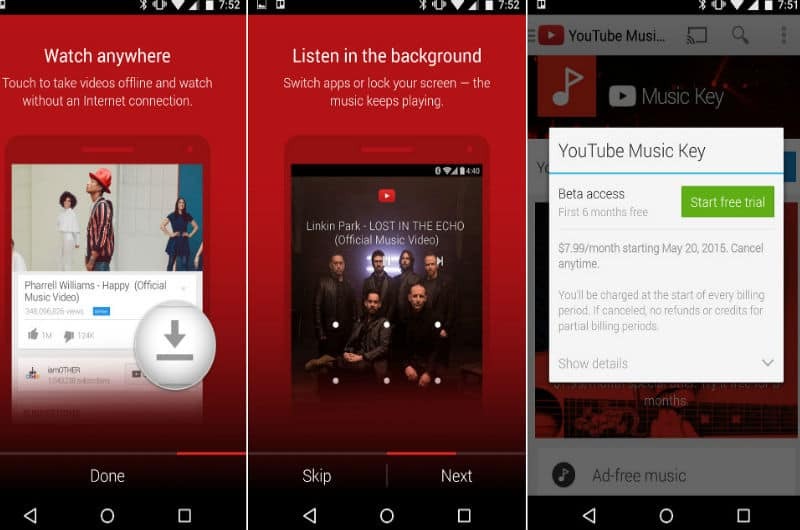 Although YouTube Music is free and grants you a focused application for discovering music videos and streaming audios, it gives some special perks to the YouTube Red subscribers. If you sign up for the $10-per-month subscription, you get ad-free access to the entire catalog of videos and the ability to save them for offline view. The YouTube Red package also applies to YouTube’s other apps and grants you unlimited streaming with Google Play Music. YouTube Music is first and foremost a music-video app, that doesn’t forget that most people will be using it on their phones. For the times you wouldprefer to just listen instead of watching, you can hit a toggle that switches the app to audio-only mode, which turns off the video playback and swaps in a still image. You can even turn off the screen and keep listening while you do something else. These options currently work for the paid customers i.e. for the customers of YouTube Red. The launch of this app throws a direct competition to players like Spotify and Apple Music. Spotify leads the market with approximately 20 million paid subscribers as of the data generated in June 2015.